Description: The mine consists of a thick glass bottle resembling a quart milk bottle. 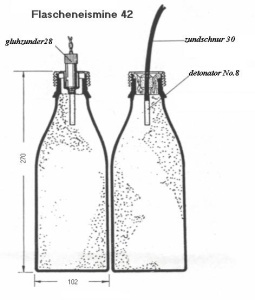 In some models there is a booster charge of pethrite wax in the neck. 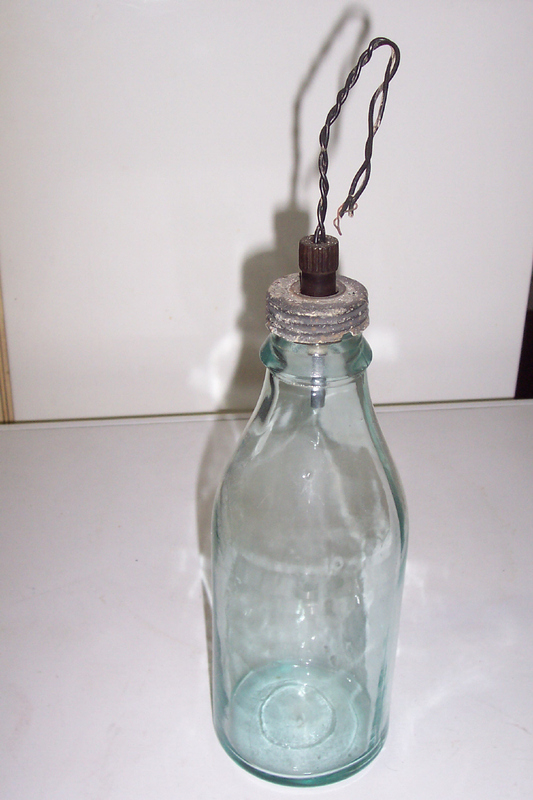 There is a wooden plug with a conical recess and a central hole located at the top of the bottle neck. 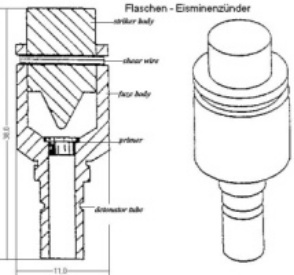 The Fl.Es.Mi.Z igniter, with the detonator crimped on, fits into this hole with the detonator extending down into a hole in the booster. An aluminium cap screws onto the top of the bottle over the igniter, with the igniter striker being just below the cap. When in place the cap is waterproofed with a sealing compound and over this fits a rubber cap to assure complete waterproofing. 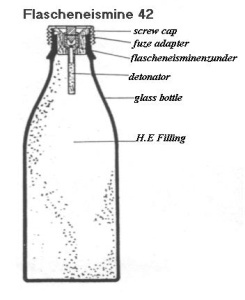 Operation: Sufficient pressure on the igniter causes detonation of the mine. Employment: The original German theory for the use of these mines was that they should be suspended on 6-foot lengths of wire below the surface of ice-covered rivers. 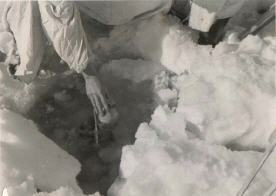 The mines were placed 16-feet apart and at intervals mines were set to be ignited by electrical detonation. 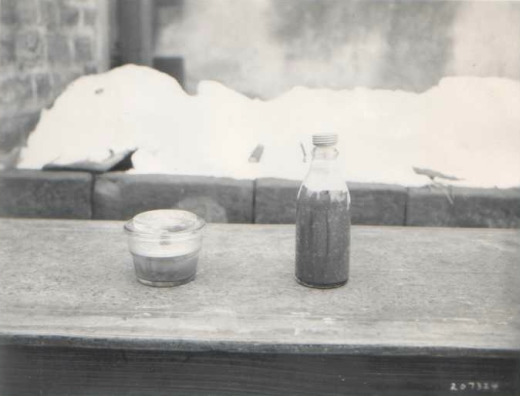 The explosion of one mine would set up a sympathetic detonation which would explode those in the adjacent area. 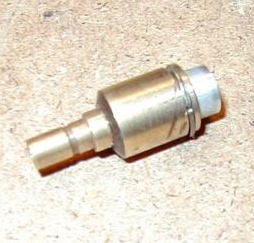 The mines were later used as A/P ground mines, employing the Fl.Es.Mi.Z igniter and adapted for use with other pressure type igniters. 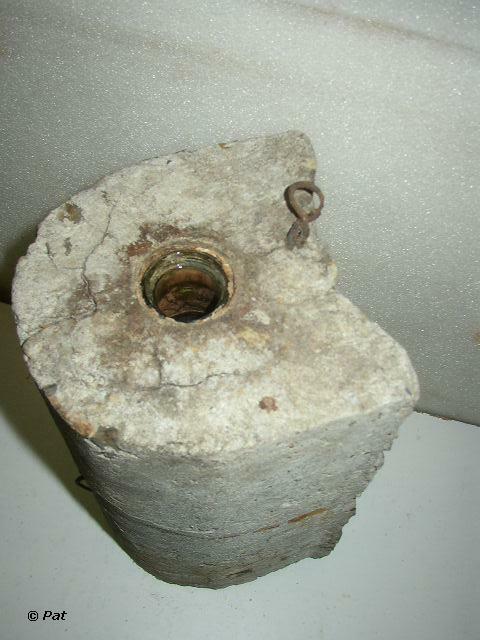 Remarks: The mine is set in concrete to serve as an A/P land mine. This glass bottle mine was also used in the Finnish army during ww2 and maybe also after. 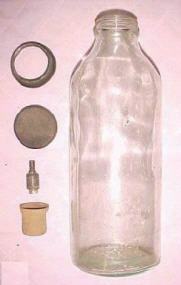 These bottles are recognizable by the letters "SA" cast in the glass. Photo on the right shows the mine being initiated by Glühzünder38, electrical fuze. 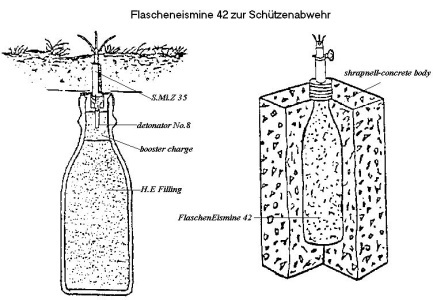 Below: FlaschenEisMine embedded in concrete.